One of the largest Finn Silver Cups on record is about to begin on the largest lake in Central Europe. Nearly 50 young Finn sailors from 21 countries and four continents are gathering at Balatonfüred, a popular resort town on Lake Balaton’s northern shore. The list of entrants could read like a who’s who for the 2020, or 2024 Olympic Games, including both those who have experienced Olympic competition, and those who are taking their first steps on the long, personal and physically challenging journey towards that quadrennial pinnacle. The host club is the MVM Hungarian Power Companies Sport Club (Magyar Villamos Művek Sportegyesület- MVM SE). The sailing club of MVM SE has an idyllic location overlooking the race area with lawns and tree lined boat parks leading down to the water. The sailors are all being made to feel very welcome as the build up continues for the first races on Tuesday. 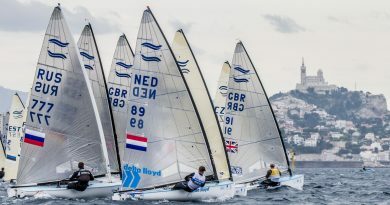 Within the impressive line-up, three sailors have won the title before and one has gone to the Olympics already. The defending champion is Phillip Kasüske from Germany. He hasn’t put as much time in the boat as he would have liked, having just returned from the Red Bull Youth America’s Cup, where he was the wing trimmer on SVB Team Germany. Last year in Aarhus, Kasüske took the title off Ondrej Teply, from the Czech Republic. His strongest opposition could come from the new U23 European Champion, Henry Wetherell, from Britain. 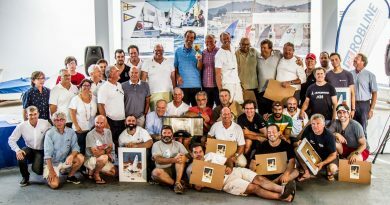 Wetherell won the title convincingly in May in Marseille while also placing sixth in the senior fleet. Having only joined the Finn fleet last year he feels he is making good progress. The third former champion present in Balatonfüred is Arkadiy Kistanov, from Russia, who won on home waters in 2011. This year will be his final attempt as he will be too old in 2018. Facundo Olezza is he only sailor here with Olympic experience. He placed third in last year’s Silver Cup, just before he went to Rio for the Olympics, where he placed ninth after winning two races. One sailor who could surprise this week is Lars Johan Brodtkorb. He still splits his time between the Europe dinghy and Finn sailing and is too heavy for one and not really heavy enough for the other. 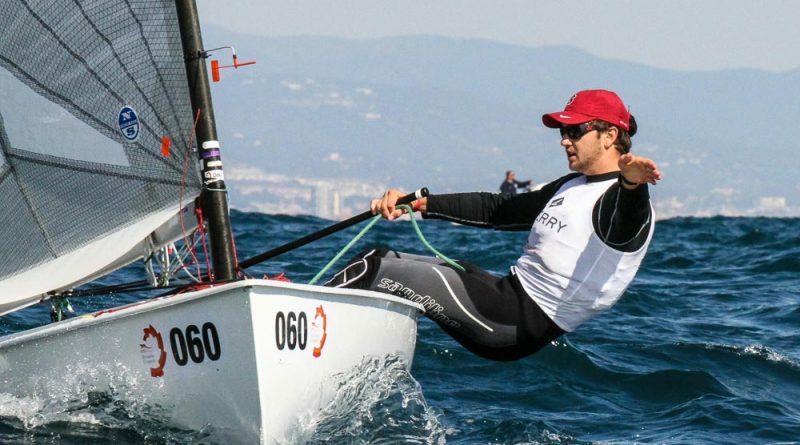 A double Europe World Champion, a few weeks back he jumped straight into an OK Dinghy and won the European title after just four days in the boat. This should give him extra confidence as he approaches what could turn into a light wind decider later in the week. 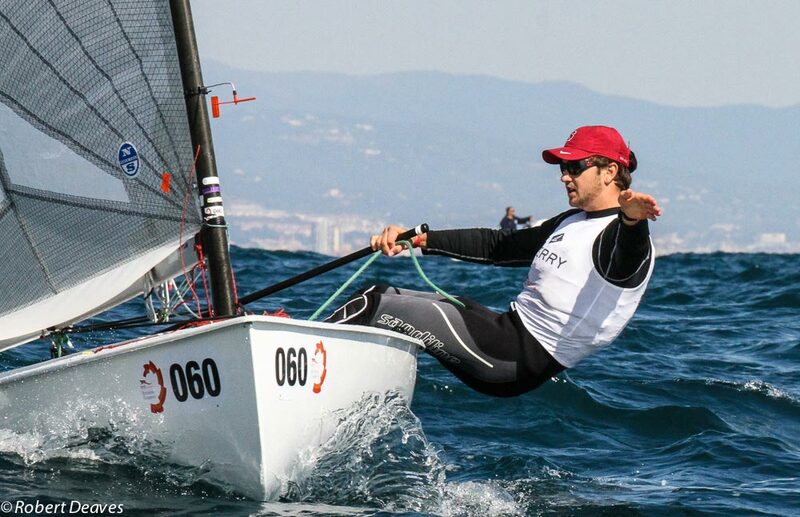 Last year Jan Orel turned to Finn sailing to turn his life around. This year his younger brother Liam has also begun to sail the Finn. A top Slovenian Optimist sailor in his younger days, he later turned to the Laser and windsurfing, before ending up in the Finn. He’s only done a few months training so far so, but his brother rates him highly for such little time spent in the boat. The practice race takes place Monday afternoon. While the sailors who arrived early have been enjoying the fresh to strong winds over the past few days the breeze is forecast to fall away gradually over the coming week. 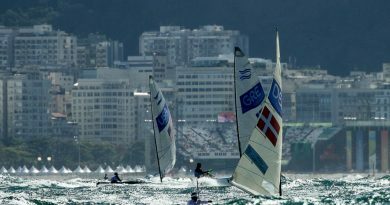 Thirteen races are scheduled from Tuesday to Sunday to decide the 2017 U23 Finn World Champion.